A million dollar industry in America, it has as many fans as detractors. A juice cleanse or juice fasting involves limiting your diet to fresh vegetable and fruit juices plus water for a few days to a few weeks. Claims range from significant weight loss, clearer skin, bolstered immunity, body detoxification, and cancer prevention. What should you know before undertaking a juice cleanse? The amount of information and varied opinions on the web is enormous! Elemental Wellness waded through a lot of it to distill this post down to some simple key points. If you undertake a juice cleanse (shorter is preferred, i.e. 4 days or less) and see it through, chances are you’ll feel great at the end of it. You’ll have a real sense of accomplishment, and you’ll look at your regular diet with fresh eyes. By spending a few days ingesting only fruits and vegetables, you are avoiding highly processed foods that have solid fats and added sugar. If you have a strong habit of making unhealthy food choices, a brief juice cleanse may help you break them. 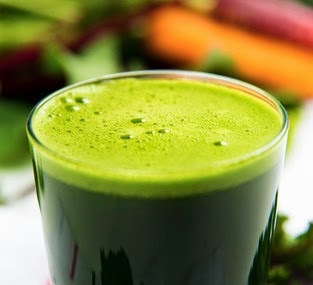 If you diet rarely includes fruits and vegetable, juicing is an easy way to increase your daily intake. Keep in mind that if you’re really lacking in this department, substituting one glass of juice for a meal each day, will dramatically boost the quality of your diet. Again, if you’re not a fan of green side of the food pyramid, juicing can help retrain your taste buds to enjoy fruits and vegetables. Many of us reach for carbs, sweets, chips or alcohol when we’re bored, sad, lonely or anxious. These foods are off-limits on a juice cleanse. So the process of undertaking a whole new diet, briefly, can put you in touch with your body and it’s automatic habits. You’ll find little to no protein and fat in fresh pressed juice. Some commercial juices contain added nut milk that contributes a small amount of fat and protein and helps with satiety. But your body will suffer from going for more than a few days without sufficient protein — the raw materials to build new tissues. Low-fat diets are notoriously hard on the skin and hair. Don’t forget that fat is also necessary to processes fat-soluble vitamins (A, D, E and K). Common side effects from a juice cleanse include dizziness, blood sugar spikes, headaches, constipation, fatigue, irritability, nausea. The symptoms occur as your body releases glycogen (stores of carbohydrates). Ultimately, many people report feeling “amazing,” which is explained by the body going into ketosis (glycogen stores are used up and the body begins burning fat). Though you may experience a decrease in your appetite (that makes things easier), ketosis can cause nausea and bad breath, and ultimately organ failure. A juice cleanse is not safe for everybody, especially people undergoing chemotherapy, diabetics, anyone with nutritional deficiencies or kidney disease. Check with your doctor is you have any medical conditions that a cleanse might impact. Juicing removes some of the fiber and nutrients found in whole fruits and veggies (those in pulp, skin and seeds). Because there is less fiber in juice, more of the fructose is absorbed by the body, so lean toward more vegetables than fruit. Less fiber will also leave you feeling less satisfied. Keep in mind that a juicer removes fiber, but a blender, masticating or triturating juicers help retain more fiber and nutrients. You’ll lose weight but most will be water weight. People love that they feel less bloated (and they do), but if you’re looking to lose fat and keep it off, a juice cleanse is not the answer. The majority of people put the weight right back on after the cleanse. Any calorie-restrictive diet will lead to some weight loss. Yet your body will respond to prolonged “starvation” with calorie conservation. This screws with your metabolism, lowering it. If you put your body into starvation mode too often, you risk permanently lowering your metabolism (i.e. metabolic syndrome). 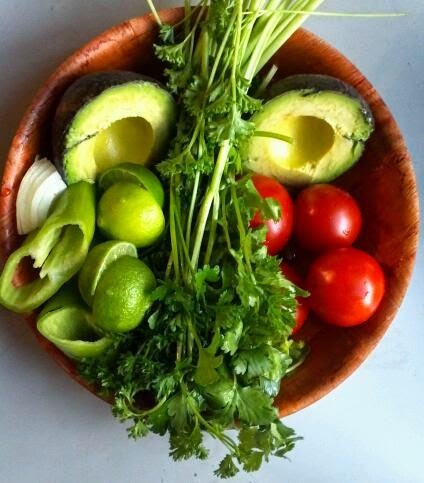 A big claim among juice fasting systems and products is that it will detoxify your body. Many medical experts disagree with the idea that humans need help detoxifying our bodies. The liver, kidneys and intestines are highly evolved bodily systems that rid us of the toxins we ingest or encounter in the environment. We excrete them in our urine, feces, breath, and sweat. A maximum length of three to four days is advised. Health and wellness is a booming industry. Lots of people want to make money from your desire to lose weight and get healthy fast. If you buy a pre-made juice cleanse system make sure it is reputable! Check that the produce is carefully cleaned and the juice is made in small fresh batches to avoid bacterial growth. Pasteurized juices are not advised. Follow a reputable plan if you are making your own at home. If you have any doubts that a juice cleanse is right for your body, please check with your physician. There’s no proof that eating liquefied fruits and veggies offers an advantage offer the same ingredients in their whole state. If you’d like to increase your intake, try swapping fresh juice for your regular breakfast, or as a mid-afternoon snack. Meanwhile, stick to a balanced diet including adequate amounts of fat and protein.